RIVERSIDE, Calif., June 25 /PRNewswire-FirstCall/ -- Fleetwood's RV Group, a leading producer of recreational vehicles, announced today that legendary TV host Bob Barker and the Barker Beauties were proudly chauffeured to the 34th Annual Daytime Emmy Awards in a Fleetwood diesel motor home. Stepping out of Fleetwood's 2007 Discovery and onto the red carpet, Bob Barker made his way into the Kodak Theatre where he won two Emmy Awards, bringing his lifetime total to 19. After 35 seasons on air, The Price is Right wrapped its final episode with Bob Barker on June 15 and will resume this fall with a new host. Barker had hosted the show since its premiere on CBS in 1972, making it the longest running game show in television history. To make his finale truly memorable, Barker presented contestants with the chance to win Fleetwood's Terra LX 31M, the most expensive prize ever offered on the show with a MSRP of more than $100,000. "Fleetwood had the privilege of being part of the show for over 20 years. It was always exciting to watch contestants vie for a number of our products from folding trailers to motor homes," said Paul Eskritt, President of Fleetwood's RV Group. "We were honored to work with Bob Barker and the entire The Price Is Right crew and look forward to possible future endeavors with CBS." In addition to The Price is Right, Fleetwood RV products have also appeared on other television programs, including CBS's The Early Show, NBC's Today Show, ABC's The Bachelor, MTV's Road Rules, The Travel Channel's Made in America and Discovery Channel's Monster House and Monster Garage. 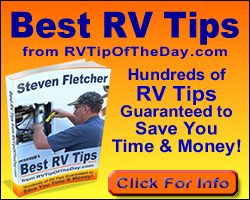 For more information about Fleetwood's recreational vehicles, please visit http://www.fleetwoodrv.com.